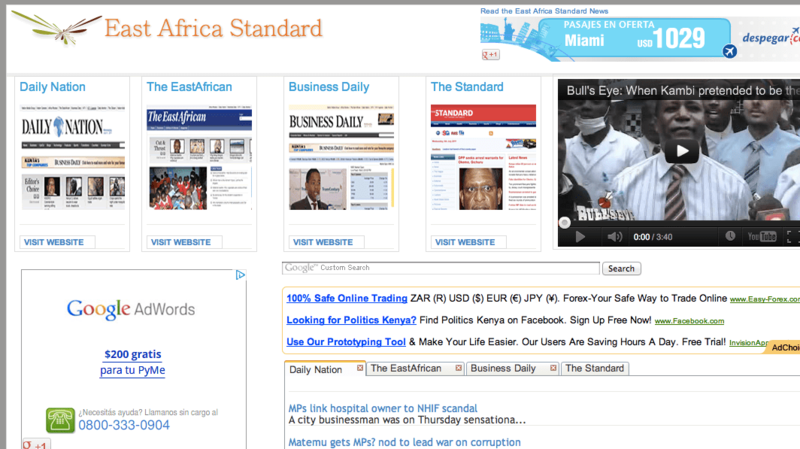 On Eastandard.net you will get access to the online edition of The Standard, a newspaper from Kenya. Step inside this website to read the latest national, African, and world news, as well as sports and entertainment news. What is more, you can read blog articles on a wide range of topics. When it comes to getting the latest Kenya news, you have to enter Eastandard.net. This online newspaper allows you to search for the latest information about this African country. By browsing through the site, you will get access to lots of articles, including business and technology reports and news. Then, if you want to stay updated with the latest Kenya news, check this site out. On Eastandard.net you can check the headlines, see pictures, and read blog articles as well. Additionally, you can read African reports and get sports news. Besides, you can subscribe to its RSS feeds and read the news anytime.